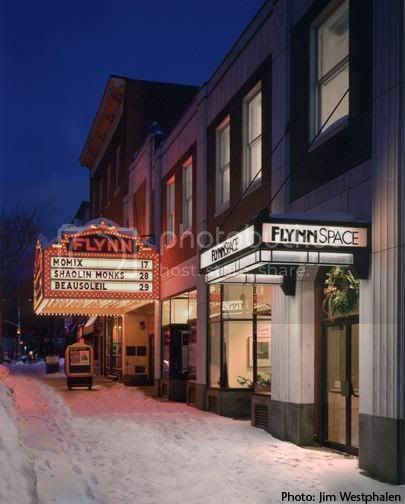 As a newbie staff member at the Flynn Center, I inherited a lot of cool projects that were begun by other Flynn folks—one of which is a partnership with the Fletcher Free Library in Burlington that connects works of great literature with our on-stage performances. This is the second year of The Flynn Center/Fletcher Free Library Book Club and it's been a wonderful success, helping people to learn more about the artists that they will be seeing on our stages and also giving people in the community an opportunity to put their performing arts experience into context with other works of art. Sometimes the books that we read are direct analogs to the performance. For example, in February, the book club read Charlotte Brontë's Jane Eyre in preparation for the stage adaptation produced by The Acting Company. 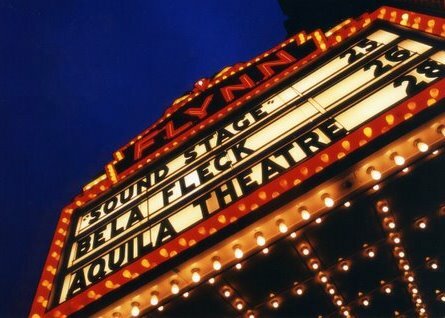 At other times, we might read work that is from the same geographic region as the performing artists, or work which has in some way influenced or inspired the artists that are coming to the Flynn. The most recent book club read Edwidge Danticat's Farming of Bones, about the ethnic cleansing of Haitian immigrants in the Dominican Republic in the 1930s. This book, by a Haitian-American immigrant, deals with similar issues of identity and racism to fellow Haitian-American Marc Bamuthi Joseph's presentation of his spoken-word/hip-hop/theater piece Scourge, on the Flynn MainStage Friday, March 23 at 8 pm. Remember Horton the Elephant and how he worked so hard to save the Who's down in Whoville? We'll be taking an adult look at three of Dr. Seuss' best loved works in the context of contemporary issues of war and society. This book club discussion connects to our family presentation of the musical Seussical! on Sunday, March 25 at 3 pm. Yeats, one of the best-loved and most important poets of the early 20th-century, has been enormously influential in the realms of performing arts, literary criticism, psychology, political science and other fields. This discussion relates to Waters of Immortality and Other Works, the MainStage performance of dancer Maureen Fleming whose slow, sculptural, and stunning dance choreography was influenced by Yeat's work on the archetype of the sacred feminine. Copies of the readings for both book clubs are available at the library from Barbara Shatara in the Outreach Department. And, finally, if you go to the book club you can buy tickets to the related performances at a 20% discount. For more information on The Flynn Center/Fletcher Free Library Book Club, or to register, please call the library at 802-865-7211. The Flynn Center and the Vermont Symphony Orchestra (VSO) have collaborated to purchase a new 9-foot Steinway grand piano. The concert piano made its Flynn MainStage debut on March 10, when acclaimed pianist Joseph Kalichstein (the artistic advisor for chamber music to Washington, DC's Kennedy Center and artistic director of its Fortas Chamber Music Concerts) performed Robert Schumann’s Piano Concerto in A minor with the VSO. Pianist/bandleader Bill Charlap gives the debut jazz performance on the Flynn’s new Steinway grand piano on Saturday, April 21 at 8 pm. Charlap, widely hailed as one of the great contemporary jazz pianists for his elegant arrangements of standards from the Great American Songbook and jazz classics, will perform in a fantastic jazz double-bill with Kurt Elling, DownBeat magazine's Male Jazz Vocalist of the Year many times over. The piano—the 577,721st built by New York's Steinway & Sons company—will be housed at the Flynn for use by both organizations; it will also be available for use by other organizations. Arrangements for the sale of the new piano were made through Frederick Johnson Pianos of White River Junction, the exclusive dealer for Steinway & Sons pianos in Vermont. On Tuesday, February 27, Dale Howe of Frederick Johnson Pianos and Alan Jordan met renowned concert pianists Jonathan Biss and Benjamin Hochman (both of whom have appeared with the VSO, and were recommended by VSO Music Director Jaime Laredo) at the Steinway factory in Astoria, NY. Five brand new instruments were arranged in the selection room, and for the next 75 minutes, the two pianists tested each piano. Moving from one instrument to the next, they played excerpts from their vast piano repertoire. One would listen while the other played. At other times, they’d sit at two different keyboards and play to each other. The choices were narrowed. In the end, number 577721 was selected. It was the most recently completed piano of the five, finished just two days earlier, according to Steinway technician Dirk Dickten. Even with the arduous selection process, there’s still a little bit of chance involved. A brand new piano is "raw" and it will take several years for it to settle in. Over time, the instrument will develop more depth in its sound, and will stabilize so that its tuning and regulation will be sustained longer. Right now, it’s a really good piano. In another two or three years, it should be a truly great piano. The Flynn and the VSO thank the State of Vermont, Amy Tarrant, and an anonymous friend for helping make the down payment needed so the piano could be available for the inaugural performance and future use. 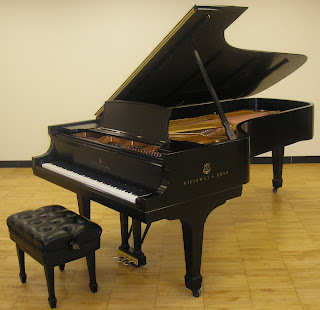 The VSO’s 7-foot Steinway grand piano is available for sale. The 1892 instrument was purchased and fully restored by the VSO in 1992 and should make an excellent instrument for a smaller performance venue, a school, or a church. Inquiries should be directed to Alan Jordan, executive director of the VSO: 802-864-5741, ext. 15, or alanj@vso.org. Mark Bamuthi Joseph on "Scourge"
Haitian-American performance artist Marc Bamuthi Joseph and a cast of spoken-word artists, dancers, and musicians ignite the Flynn MainStage in Scourge on Friday, March 23, shining a passionate light on questions of identity, cultural legacy, history, and assimilation. Marc Bamuthi Joseph is a National Poetry Slam champion, Broadway veteran, recipient of 2002 and 2004 National Performance Network Creation commissions, a USA Rockefeller Fellow in Theater Arts, and a veteran of HBO’s Def Poetry Jam. He is also the artistic director of Youth Speaks—the premier youth poetry, spoken word, and creative writing program in the country. In Scourge—an exorcism and re-imagination of traditional theatrical genres—Marc Bamuthi Joseph offers a powerful, political and revolutionary look at Haiti in its 200th year as a sovereign nation. Still languishing as the poorest country in the hemisphere—plagued by crumbling infrastructure and unimaginable debt—Haiti suffers politically and socially from massive prejudice and misperception. Scourge grew out of Marc Bamuthi Joseph’s desire to re-imagine his native country through the medium of performance art in order to create a new and more accurate history which addresses not only political events, but the people, places, and context that created them. 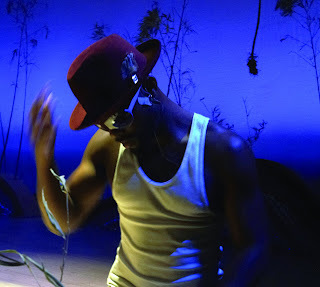 Through an explosive fusion of hip-hop, Afro-Caribbean dance and music, and spoken-word poetry, Marc Bamuthi Joseph and his cast explore the narrow space between history, myth, and speculation—bursting the boundaries of racism and ignorance and bringing to light the importance of preserving our cultural legacies in an increasingly global world. After a successful revolt from 1797 to 1804, upstart slaves led by Toussaint L’Ouverture defeated Naploean’s army and Haiti established itself as the first Black republic in the post-Columbian New World on January 1, 1804. Western Europe instated sanctions against Haiti and, in addition to this economic blow, France demanded “reparations” to former slaveholders in 1825, amounting to 90 million gold francs (equivalent to $21.7 billion today). Haiti continued to make payments to France until the 1950s, but has since become the poorest country in the Western hemisphere—and has been plagued by political violence and corrupt dictators for most of its history. Amidst a back drop of political chaos, Haiti celebrated its 200th year as an independent nation in January 2004. This tenure ranks second only to the United States in the post-Columbian “new world.” And yet while the U.S. is clearly the planet’s most powerful nation, Haiti languishes as the poorest country in the hemisphere, plagued by a crumbling infrastructure, political turmoil, and unimaginable debt. How could two countries born of the same revolutionary spirit spiral so dramatically in opposite directions? Drawing from this point of inquiry and inspired by artists ranging from Maya Deren to Katherine Dunham to Ntozake Shange, Scourge advances our dialogue about the historical impulses that have left a great nation far behind its peers. It is the natural progression from the Living Word Project’s last work, wherein we move from one voice to five, and autobiography to allegory. By examining the social history of Haiti through a full-length work of hip-hop theater, Scourge is a highly relevant work both artistically and politically. The invocation of Haiti as a microcosmic illustration for post-colonial malaise is a timely and insurgent point of focus, and I truly believe that the execution of this piece, particularly its intersection of poetry and movement, replete with Def Poets and Urban Bush Women, will become a standard bearer for artists who use hip-hop as a means of folkloric re-invention. This piece is the quintessential American story: the conflict of securing “old world” family tradition and history in a country fed by McDonald’s and clothed by the Gap. Our narrative specifically addresses this quandary in a Haitian family, but the audience for this piece listens to hip-hop AND folklore, reads Emerson AND Danticat, speaks English AND Créole. Through a fusion of spoken word, live music, and dance, the piece suggests a series of historical factors that led to Haiti’s present-day situation. Jumping between significant markers in Haiti’s past, blurring history with speculation, we believe that the truth dies with us—unless we tuck its meaning in myth, media, and gospel. protect her of her mountainous flesh. and who’s in Darfur among skulls and refuse? And who’s still on rooftops waiting for rescue? 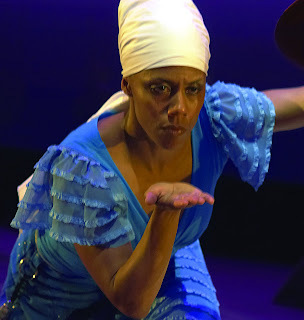 Learn more about Haiti and its people in a FREE pre-performance lecture on Friday, March 23 at 6:30 pm in the Flynn's Amy E. Tarrant Gallery. Local artists and scholars with deep ties to Haiti will discuss some of the relationships between Haiti and the United States and speak about how the small island nation’s cultural and artistic life has flourished despite its long and troubled history. 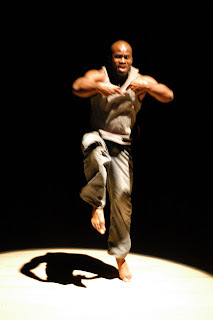 FlynnArts will also offer two workshops by March Bamuthi Joseph: Living the Spoken Word on Saturday, March 24 from 1 to 3 pm and, later that same day, Haitian Dance from 3:30 to 5 pm. Read more about it! The Flynn Center/Fletcher Free Library Book Club will meet in the library on Wednesday, March 14 at 7:30 pm for a FREE discussion of Edwidge Danticat's The Farming of Bones, a powerful novel about Haiti and its neighboring Dominican Republic. Call the library for information and registeration: 802-865-7211. Acclaimed New York City choreographer and dancer Maureen Fleming spent a week at the Flynn in late February—the first of two week-long residencies this year, culminating in her MainStage performance Waters of Immortality on Friday, April 20. 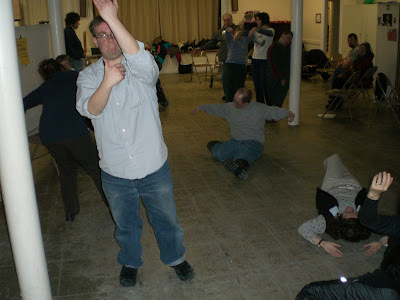 Christopher shares his reflections on Maureen Fleming’s community workshop with the Awareness Theater Company, a program of VSA Vermont. The participants were actors with disabilities; the director of the company, Emily Anderson; and some other people with disabilities and their caregivers from the Howard Center. We arrived while Emily and her team of actors were rehearsing a new show about the Parallel Justice program, which helps people who have been victims of crime to get restitution or assistance. We introduced ourselves and watched the rehearsal for about 15 minutes. One of the actors performed her short one-woman show for us. It was a fabulous little monologue with original artwork illustrating her relationship with her hamster. Her pet hamster wanted change in his life and she helped him change—the first step towards change was offering him beer (yummy!) instead of water in his water bottle. He also got a toothbrush to get the seeds out of his teeth and a treadmill instead of a spinning wheel for exercise. Maureen introduced herself to the group after the Hamster Love show and we started with some exercises we could do while seated. This was important as not everyone was able to stand. We breathed together, did some visualizations about water balloons and steam heat, and then learned about how to massage our hands to improve our flexibility. Maureen talked about how the hands are connected to the whole body, and if your hands are more flexible your whole body will move more easily. Many people in the room had difficulty moving or controlling their muscles, so this was a great exercise. After this, we practiced more breathing exercises. We learned to make sounds while breathing to learn about how the breath is connected with our ability to vocalize and be good actors, poetry readers and speakers. Finally, we paired up and did some back and neck massage work. Maureen worked individually with each participant to help them feel the difference that good posture and breathing makes in our ability to speak clearly and deeply. The people in the workshop were deeply engaged and excited to feel the difference in their bodies and voices with the changes that Maureen encouraged. At the end, Maureen did two additional visualizations to get people out of their chairs and moving around the room. In the first, we envisioned angels tying strings on our bodies and moving us around the room very gently. In the second, we imagined butterflies inside of our skin helping us to move. Everyone participated, even the people in wheelchairs. It was very moving. Finally, we announced the preview performance [of Waters of Immortality] and the performance in April. People are hoping to organize a group outing to come and see the April performance. This was a great way to move me out of my "wrong side of the bed" morning into a better place.